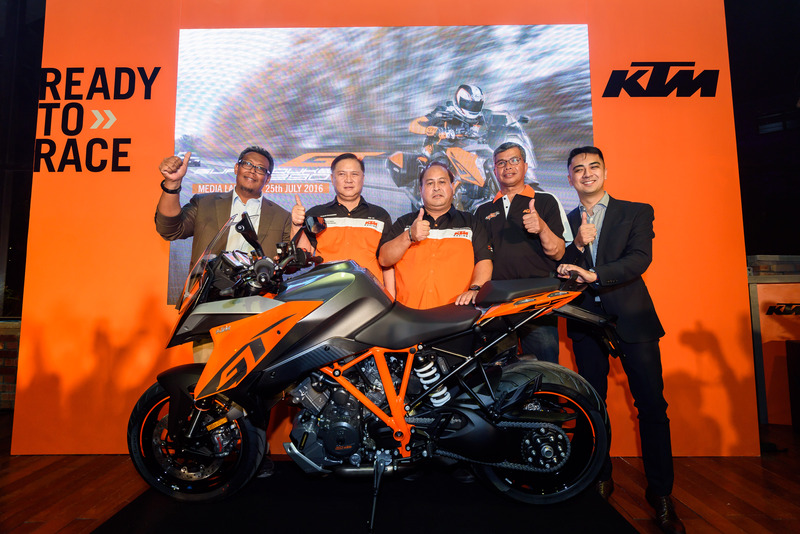 With its unrivaled amounts of performance and levels of sophisticated rider assistance, KTM looks set to rewrite the expectations of the Sports Touring motorcycle class when the new 1290 SUPER DUKE GT arrives in dealers later this August. 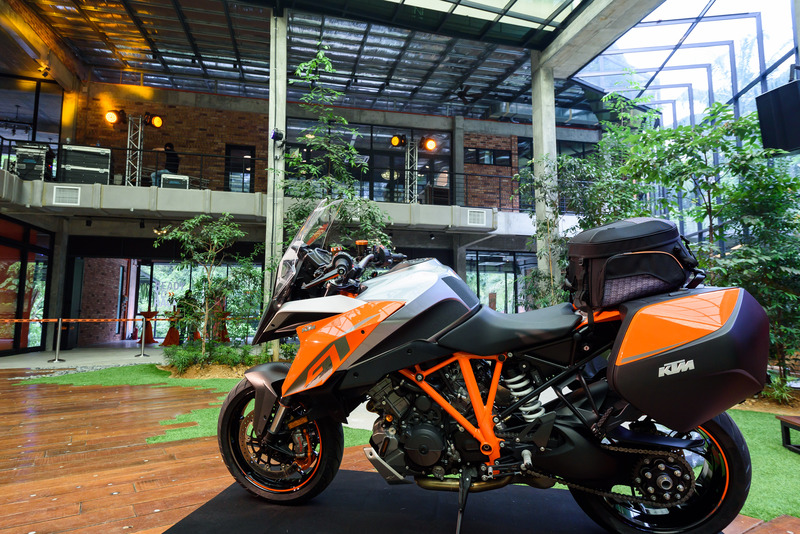 More than deserving of the SUPER DUKE moniker, the GT is the fastest V-twin Sports Touring bike in the world. By taking many of the attributes of the Naked Bike class-defining 1290 SUPER DUKE R, riders can go further and faster as the new machine goes to the next level in terms of refinement and comfort. Still a true KTM Sportmotorcycle – the GT masters the seemingly impossible split between passionate fun riding, comfortable long distance travelling and breathtaking track day use. Since it was unveiled in its finished form in Milan in November 2015 at the EICMA show, the world has been waiting to see if the GT lives up to its promise and specification. During the end of February and beginning of March this year, members of the world’s motorcycle media were invited to make up their own minds and experience the machine on the demanding and varied roads that make up the Spanish island of Majorca. An intense route through a multitude of weather conditions and asphalt grip levels meant that the journalists were able to trial the myriad of electronic settings offered by the GT, such as its WP semi-active suspension and multiple ride modes; even the lean angle-sensitive motorcycle traction control (MTC) and combined ABS were put to the test . Consequently, the positive reaction from the specialist press in reviews available to read and watch now has been as expected. The 1290 SUPER DUKE GT arrives at dealers with standard features that include electronic cruise control, a quickshifter for upshifting, a tire pressure monitoring system (TPMS), heated grips, LED cornering lights combined with LED indicators with automatic cancelling. Helping to provide appropriate long distance capabilities is the 23-liter fuel tank, the extended rear subframe with integrated pannier mounts for the optional luggage system, comfortable seats and a height adjustable windshield. In addition, the optional Hill Hold Control (HHC) and Motor Slip Regulation (MSR) are available, the latter of which preventing the rear wheel from losing grip, should the rider chop the throttle or dump the clutch when downshifting. 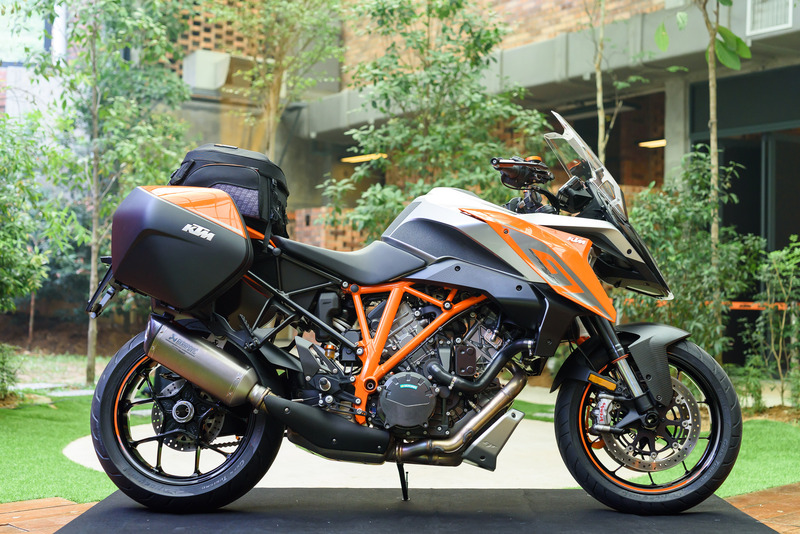 No Sports Tourer can offer more in the way of rider satisfaction, thanks to its performance, comfort and safety systems than the KTM 1290 SUPER DUKE GT.